Last August, our city formed a task force to develop an electric vehicle (EV) policy. Last week, they published their findings (Electric Vehicle Policy Task Force Final Draft), and now invite us to offer feedback. The public discussion will be tonight. It looks like the task force may be treating this as just a parking issue for the 67 Philadelphians with curbside chargers, rather than a game changer in terms of personal transportation, urban air quality, or the bigger problem of reducing our greenhouse gas emissions. A recent headline on Vox affirmed that cars and trucks are America’s biggest climate problem for the 2nd year in a row. Overall emissions are falling, but not fast enough to hit international targets. The US committed to cutting its emissions 26 to 28 percent below 2005 levels by 2025 under the Paris climate agreement, but that would require reducing our total carbon dioxide output by 1.7 to 2 percent each year for the next eight years. Per the EPA, passenger vehicles account for 60% of those emissions, and medium- and heavy-duty trucks account for a further 23%. These emissions can be significantly reduced by transitioning from the internal combustion engine (ICEV) to electric vehicles (EVs). 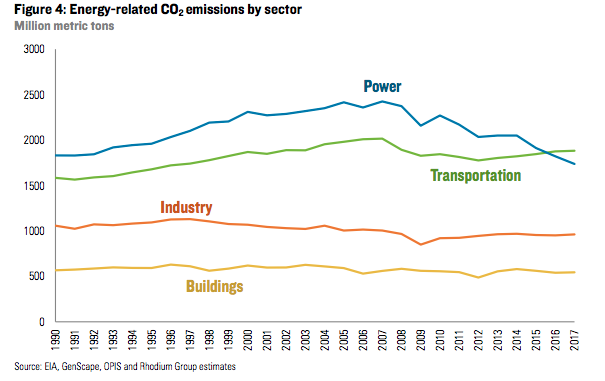 the transportation sector thus represents a prime target for cutting American carbon pollution. We need to show overwhelming public interest in the transition to EVs, with public charging stations in residential areas (ideal for overnight charging). We’re invited to a discussion about their findings. See also this recent coverage by the Philadelphia Inquirer: Philly panel recommends scrapping contentious electric-vehicle parking program. We have till February 16th 2017 to offer written feedback on this draft. Last January, the Philadelphia City Council’s Committee on Streets and Services teamed up with the Committee on Global Opportunities And The Creative/Innovative Economy to discuss Resolution 161039, authorizing themselves to hold hearings regarding the installation of electric vehicle parking spaces in Philadelphia. Two weeks later, Robert Monk wrote a letter to City Council Members Oh, Squilla, Domb and Blackwell, Mayor Kenney, and the Philadelphia Office of Sustainability. Robert is a Philadelphia resident and an electrician who has installed numerous EV charging ports in town. His extensive letter was in response to the January 30th 2017 hearing, and chock-ful of suggestions for a decent EV policy for Philadelphia. That February 14th 2017 letter is archived here. Then in March, 350 Philly wrote this post (Accomodating Electric Vehicles in the City) with an invitation to the next Council discussion on the subject. And in April, 350 Philly member Meenal Raval wrote to Mayor Kenney, reminding him how our air cleared up literally overnight during the weekend of the Pope’s visit, when we banned cars from Center City. At the May 15th Council hearing on resolution 161039, after hearing everyone else’s testimony, Meenal was spurred to step up with her own testimony. I want to say that EVs are not just for the wealthy. I own a Smart electric car, that is a little two-seater, perfect for City parking. It takes me 70 miles on a charge, which is pretty much all over the City…And I leased it for $150 a month. My fuel costs have halved. It used to be $800 a year for my Honda Fit. It’s now about $400 a year on my electric bill. So, EV’s are not just for the affluent. Recommend using consistent language when comparing battery electric vehicles (BEVs) with ICEV. On page 13, ICEVs are called “single occupancy vehicles”. And on page 14, they’re called “private vehicles”. Are these synonymous? Page 13 – image comparing emissions by travel mode shows BEVs as emitting 0.33 lbs CO2 per PMT, and single occupancy ICEVs emitting 0.96 lbs CO2 per PMT. Glad to see the reference to clean electricity on page 5. If the source of electricity is renewable, a BEV would emit 0.00 lbs CO2 per PMT. This needs to be listed on this image, and a necessary component of implementating public charging stations. We also need average miles per trip, in order to calculate current emissions and planned reductions. Estimated BEV trips are shown as 2,000. This seems very low. Need a reference source for this data. Estimated private vehicle trips are shown as 2,715,000. The number of trips by subway and bus are missing. Buses are the 2nd most polluting mode of travel, emitting 0.60 lbs of CO2 per PMT. If the scope of this study includes transit and equity, it must document the emissions from transit buses. And develop a plan on transitioning diesel buses to electric buses. This is skewed to encourage transit use. Of course we want more transit use. But we’re trying to get people out of ICEV, so isn’t an EV better? We’re trying to reduce emissions from the most polluting form of transportation, the ICEV, which also happens to have the most trips. We need to do so by making it easier to replace them with BEVs, not by insisting that people use transit. A personal example: Even though I own a bicycle shop, often ride a bike and use transit, I need a car to go from Mt Airy to Roxborough to visit my mother. There is no direct transit option, the Fairmount Park trails close at sundown, and the traffic moves too quickly on Henry Avenue to cycle safely, and so we reach for the zero-emission EV. Page 16 – Most of the privately installed EV charging stations are in the neighborhoods of Society HIll, Bella Vista, Queen Village and Fairmount. Yet on page 15, these are not shown on the map of areas with highest EV potential, and the majority of public charging stations are in Center City. Why are the public charging stations not in the areas with most interest? Page 23 – Strategy on EV charging infrastructure is very lame. Having studied Portland and Amsterdam, we had expected a list of best practices as recommendation. There is no timeline for implementation. 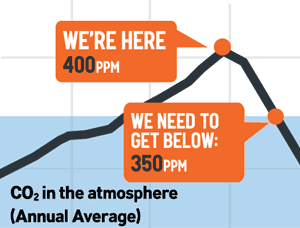 We need to plan for a steady annual reduction in our greenhouse gas emissions, about 3 to 6% per year. Physics advises us that faster is preferable. There is no mention of the EV-to-grid developments, whereby the batteries in an EV function as storage for the grid, with the utility crediting the EV driver, and adding to our social equity / affordability goals. Page 28 – Unclear why SEPTA was part of this task force, except to share their ridership numbers. One idea the community had was to use the regional rail parking lots for nighttime charging by nearby residents, providing a revenue stream for SEPTA, and a secondary use for the parking lots. This is also an observation that one size does not fit all neighborhoods; that what could work in Mt Airy, along the regional rail lines, may not work for the more dense South Philly. Page 29 – Ongoing monitoring mentions annual EV registrations in Philadelphia. How? Philadelphia has no records for car ownership; would this be through a partnership with PennDOT? Page 31 – references 5 EV industry partner organizations. It would be helpful if these were listed. On availability of less expensive (non-luxury models) – The document made no mention of the Chevy Bolt, Tesla Model 3 or Nissan’s new affordable long range Leaf. Additional moderately priced electrics will be sold by all automakers by ~2020. Regarding total sales- Missing from the document was data from 2017 – a year in which total electric car sales were ~200,000, a significant increase from the prior year. Nationwide there are well over 50,000 EV chargers- with over $200 Million in revenue. Private sector parking lot charging exists- Nnotably at Auto Dealers, Garages, Eds & Meds, Hotels, Institutions, Multi-unit dwellings & Retailers, see list here. Can’t the Parking Authority and SEPTA negotiate for the provision of similar equipment? in West London, Ubitricity is installing plug in chargers in many street lamps already being retrofitted with LED’s. Can’t our city and/or its varied neighborhood improvement districts do the same? Costs drop significantly for all stakeholders when existing streetside fixed infrastructure is given a secondary use. As for dedicated space for electrics- It seems odd that there is plenty of space for “Valet only” spots, Uber and Lyft only areas (30th street station) and so many dedicated spaces for Zipcar (and the like); why are dedicated electric spaces a problem? Getting From Here to There: Regulatory Considerations for Transportation Electrification – This document was prepared by the RAP (Regulatory Assistance Project) for the NJ Board of Public Utilities and focuses more on utility rate designs and integrating EVs with the electric grid. 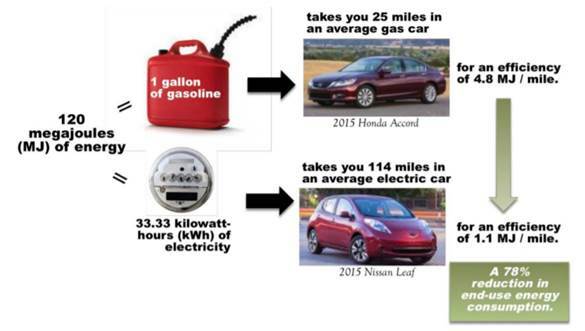 It begins with a great image comparing a gasoline car with an electric car, and the resultant 78% reduction in end-use energy consumption. So again, join us tonight. Or settle in over the weekend to review all this, and submit your own comments to the Philadelphia Office of Transportation and Infrastructure Systems (Philly OTIS) by February 16th, via this survey. Posted on January 25, 2018 by meenalPosted in electric vehicles, emissions, event, SEPTATagged Council, Mayor Jim Kenney, OTIS, SEPTA.